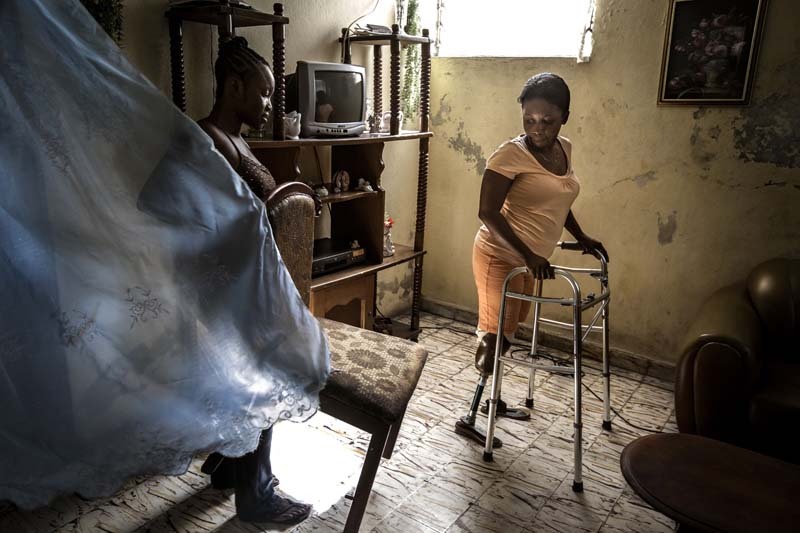 Lindy Joseph has just gotten her new prosthetic legs to bring home. After one of her training sessions her daughter assist with a chair to rest on. Lindy is 42 years old and she is one of the more than 300 000 people that were badly injured during the earthquake five years ago. The local aid organization “Healing Hands have helped her with therapy and prosthetic limbs. She has started to teach again. Step by step she is slowly returning to something that is similar to how her life was before disaster struck. After the short brake it is time to train again. Tomorrow a technician at Helping Hands will put plastic material on the legs to make them look like real legs.